I am by no means a doctor, and the information on this website has not been evaluated by the FDA and is not intended to diagnose, treat, prevent, or cure any disease. This is just my experience and not intended for medical advice. When my children are sick I always try to treat their illness naturally before I run off to the doctors. I give a 48-hour window of natural remedies, and if I don’t see progression of my child getting better then I will go to the doctors. But 95% of the time we never get to the point of a doctor’s visit. Because of this approach I get a lot of questions from other moms who are curious to know what remedies I use. I have posted about some of my favorite natural remedies before and about garlic shots. Garlic shots are the best for the flu season! Anyway, natural healing does not mean that my children don’t get sick because they still do, but it does mean that their immune system is stronger, and they don’t get sick as often or for as long. My children have not been to the doctors for an illness in over a year and half! And I don’t say that to brag; I say that because it works! This past week my 7-year-old son was home with strep throat. His symptoms were fever, swollen red throat with blisters and tummy pains. In the past he has been on antibiotics for strep and sure enough once he is done with his 10-day dosage, he always gets sick with something else, even when I give him probiotics. Very frustrating! So here are some basic remedies that combine herbal, essential oils and basic food items to kill strep. Remember when you do natural remedies, I recommend breaking up each remedy in stages, so give some time between each remedy/each dosage. And you give or take each remedy every hour! This is so important because every hour the immune system goes down and the goal is to keep the immune system up and strong and able to fight the sickness. I’m not going to lie–naturally healthy is time consuming and you have to stay up on it, but it is so worth it and the benefits it provides your child OR you! And remember strep is serious so you have to be on top of it, and if you don’t see progression in a 24-hour period of natural healing then take your child to the doctors. In most illnesses, there is a point where the sickness “breaks” and the healing and wellness is notice. I always continue with the remedies until the child is 100% back to normal. 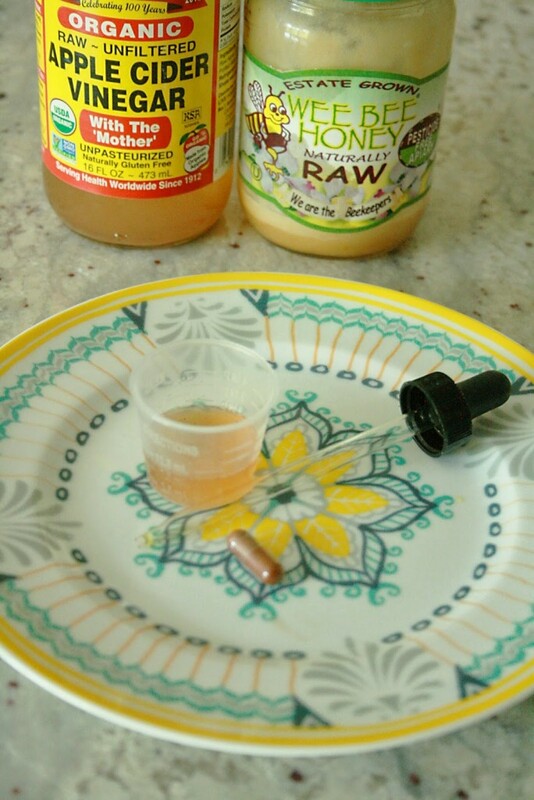 Raw Apple Cider Vinegar (RACV) , Cayenne and Raw Honey--this is your basic ingredients for your throat syrup. 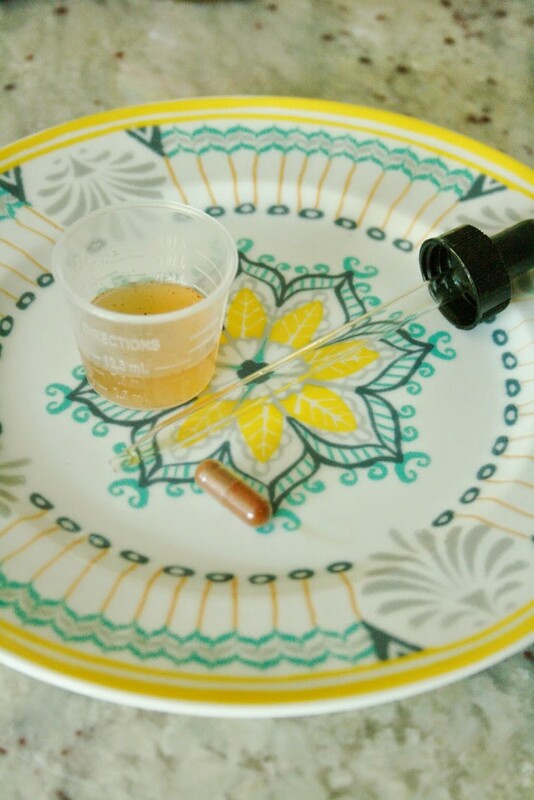 I use a medicine cup and fill it with raw unfiltered apple cider vinegar, a capsule of organic cayenne (90,000HU) or 1/4 tsp. cayenne and a tsp of raw honey. Stir well. Use a dropper and squirt on the back of the throat. Health benefits: RACV contains powerful enzymes that support good bacteria and deters harmful bactera. Cayenne helps the body’s defenses, takes away the sore throat feeling and kills harmful bacteria. Raw honey coats the throat and sweetens the syrup. How to Use: Squirt in the back of child’s throat. Give 3 dropperfuls. Wait 30 seconds. Then let them eat a cracker or toast to absorb the heat. Essential Oils–I like to use 100% therapeutic lemon and essential oil blend of wild orange, clove, cinnamon and rosemary. These oils can be taken internally if they are coming from a reputable source and 100% therapeutic! Please check where you source your essential oils. I put one drop of each essential oil in medicine cup, add water to dilute and use a dropper squirt in the back of the throat. Or have the child drink it quickly. I just like to use the dropper because it goes directly to the problem area. Then I topically apply–dilute with fractionated coconut oil and apply 1-2 drops on throat and reflex points on feet. At night, I use a diffuser in my child’s room and put 3 drops of each in a little water. Health benefits: lemon kills harmful viruses on contact and builds the immune system. It also strengthens infected tissues. Essential oil blend of wild orange, clove, cinnamon and rosemary has been studied for strong abilities to kill harmful bacteria and viruses. How to Use: If you apply internally, wait 30 seconds then give the child toast or cracker to absorb the heat. My kids like to have Vitamin C packet (we call it juice) after. Clay (green or gray)–put a teaspoon of clay into half a glass of distilled water. Drink an hour before eating. Add a dash of Himalayan salt. Health benefits–I talk alot about clay in my natural remedy post and where you can buy. 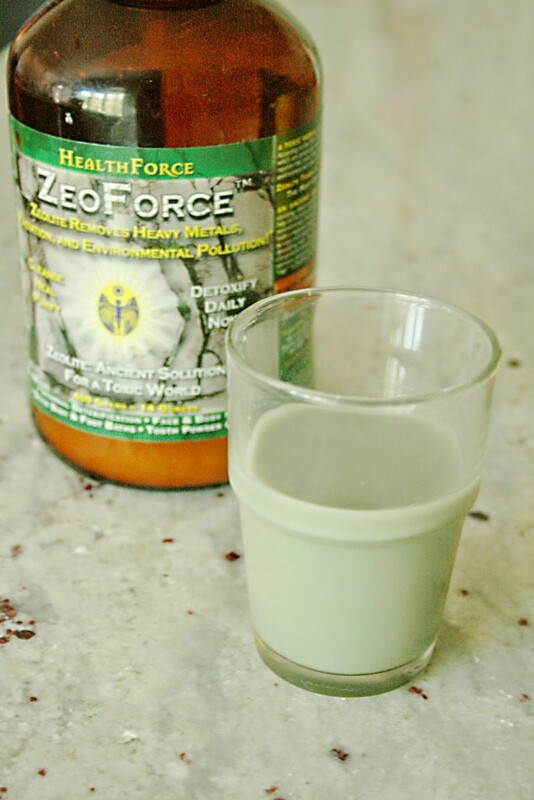 The ZeoForce brand is from whole foods, but I prefer the Redmond brand. Clay is an amazing healer! My kids love it because they know it will make them feel better, even if looks like mud! Clay draws toxins from inflamed areas, relieves pain and discomfort and reduces swelling. It reduce fevers. And it attracts parasites and cleanses them out of the body. How to Use– Drinking clay really has no taste besides the taste of water. Put the clay water in a fun solid cup and add a fun straw. Let your child drink a Vitamin C packet after. Okay, so you are probably wondering how I get all these remedies down my child’s throat! Well, I do a lot of positive talking…without telling too much. If my child throws a fit, I simply don’t give it to them. I believe in positive healing. Not negative. So sometimes I can get all the remedies down and sometimes I can only get a few. Even if you can only rub essential oils on their body, that is better than nothing. I also like to make fruit smoothies…and sometime a little cayenne gets thrown into it or RACV! Other healing aids: Make your own lemonade with freshly squeezed lemons and add raw honey to sweeten. Add clay to a warm bath and have your child soak in it. Use fresh garlic juice in your throat syrup as an alternative to cayenne. Make lemon tea–fresh lemon juice, water and raw honey. Also Infection Fighter…you can also read this in my natural remedy post. I give to my children EVERY hour whenever they get sick or have any signs of sickness (runny nose, cough, etc). Usually it stops any illness. UPDATE: After this post, I got strep throat from my son. I thought, now I get to test the science on me! So, I went out and got a strep test. It came back positive. I started all the remedies immediately and was diligent on doing remedies every hour. Also drinking lemon water and staying hydrated helped a ton and kept the pain level down. And of course sleep! At night I put a diffuser in my room with on guard, lemon and added oregano. Also I made sure to put on guard and lemon essential oils on my feet. I was able to beat the strep in three days. I went back and got tested again and it came back negative. Other remedies that helped for the soreness in my throat was drinking 100% pomegranate juice. And I would dilute a dropperful of slippery elm (herb) in water and drink twice a day. You can give this herb to children and also dilute in water or pomegranate juice. This is great, Darleen! I'm totally keeping this for future reference.